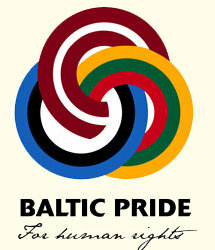 A court in Lithuania has blocked the parade permit for this weekend's gay pride event in Vilnius. Vilnius County Administrative Court annulled a license permitting the Balti Pride parade issued by the Vilnius municipal authorities in response to a submission from acting prosecutor general Raimondas Petrauskas. He claimed that allowing the parade of groups from Lithuania, Estonia and Latvia could lead to public disturbances. "We have reason to believe that the state will not be able to provide proper protection for the participants," the submission said. Tensions in staunchly Catholic Lithuania have been steadily rising ahead of the Baltic Pride parade, which forms part of a five-day festival and conference on the subject of equal rights for sexual minorities. Official opposition to the event has attracted widespread international criticism of Lithuania. Last month Amnesty International condemned the move to ban the parade. On March 1st a new Lithuanian law went into effect that bans the "spread of homosexual propaganda" to minors.